Whether through Formula 1 success or stunning road cars, since the very first car to bear the Ferrari name – the 125S – was produced in 1947 the marque has bewitched car enthusiasts. As part of our Best of Marques blog series, Carphile has picked five of Ferrari’s finest thoroughbreds, including defining super cars and, if you’re looking to put a prancing horse in your garage, our hot tip on which prancing horse you should buy now. 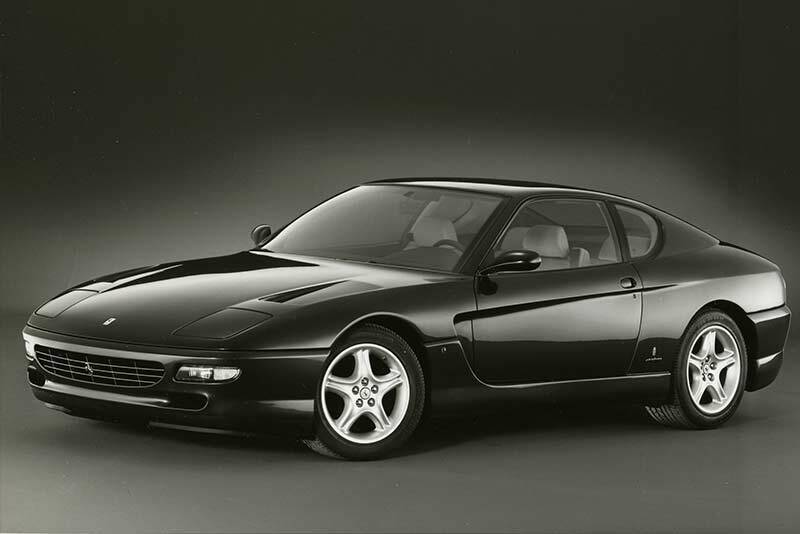 With its smooth Pininfarina styled GT lines with hints of the fabled Daytona, a 5.5 litre V12 and a top speed of over 190mph, the 456GT has all the credentials of another bona-fide Ferrari Classic. The 456GT was produced between 1992 and 2003. The 5.5 litre 65-degree V12 engine, truly one of the world’s greatest engines, produces 442bhp. As a result, it’s no slouch, covering the 0-60 dash in 5.2 seconds and going on to a top speed of 188mph. At the time, those numbers awarded this classic the title of the world’s fastest four-seat production car. Best of all though, prices for the 456GT currently start at just £25,000, not pocket-change admittedly, but this is for a V12 Ferrari and one that cost over £150,000 when new. Here at Carphile we feel the 456GT has been a bit underrated up until now, but like all V12 Ferrari GT cars the dip doesn’t last forever and the time for 456GT prices to start climbing must be close. A modern-era Ferrari, beautiful, imperiously fast, yet civilised enough to drive every day. Whisper it but you don’t have to pay seven figures to get into a Ferrari 250. The 250 GTE may not have the motorsport laurels or outright pace of its more famous siblings – GTO, SWB, LM, TR – but as mentioned, it doesn’t come with a GDP-sized price tag. What you do get is those gorgeous 2+2 coupé looks, expertly penned by Pininfarina. Inside, it is no racing car but beautifully trimmed with hide, wood, carpet with ample space in the boot to carry your bags on that road trip to Monaco. Open the bonnet to reveal the famous 2953cc Columbo V12, a deity among engines, which is fitted in various states of tune to many of the most desirable and expensive cars in the world (GTO, SWB, LM, TR). Ferrari manufactured the 250 GTE between 1960 and 1964. 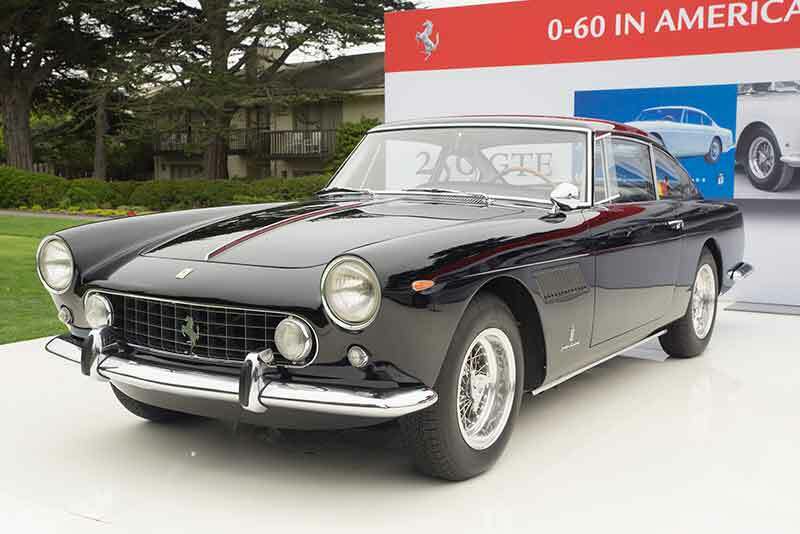 It became the Italian marque’s biggest seller with almost 1,000 cars produced. It’s rare by ordinary road car measures but not so to Ferrari 250 collectors, with current prices starting at around £300,000 for the 250GTE, which seems a bit of a bargain compared with other 250 series cars (with price tags in the tens of millions). The F40 is widely revered, a landmark super car, iconic in the history of motoring and one of the most desirable cars Ferrari has ever made in the last 30 years. It’s also fittingly the last car to be commissioned by Enzo Ferrari. The F40 was created to celebrate the 40th anniversary of the Italian marque but also to wrestle the supercar crown back from its arch-rival, the Porsche 959. It did so in style: the F40 was the first production car to break the 200mph barrier, boasting a top speed of 201mph and a 0-60 time of just 3.5 seconds. Unlike the high-tech Porsche, Ferrari achieved this performance through obsessive weight saving. Interior trim was sparse, padded bucket seats and naked carbon fibre exposed by the lack of carpets the windows were lightweight not electric, there weren’t even door handles just pull-wires. There were no electronic driver-aid fripperies, the brakes didn’t even have ABS. The result: A kerb weight of just 1100kg and an experience that drivers have talked about excitedly ever since. 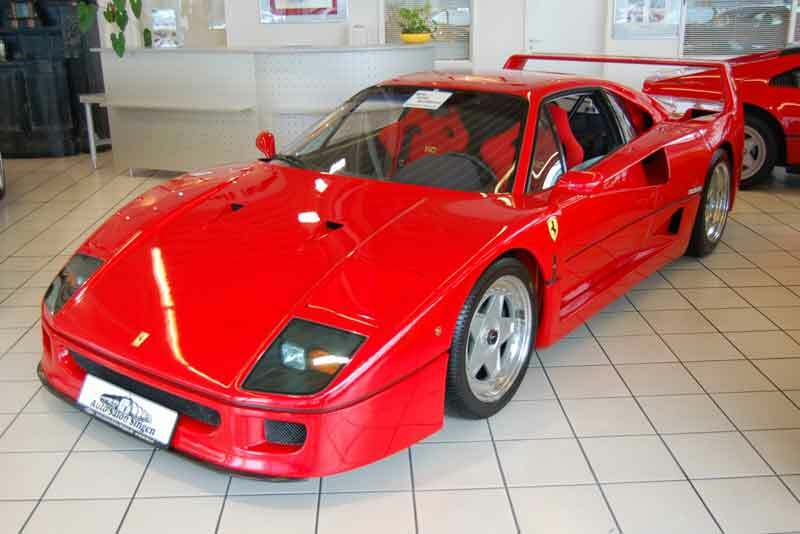 Initially the plan was to manufacture a limited number of the cars but demand proved so overwhelming that the F40 remained in production from its launch in 1987 until 1992, with over 1,300 produced. As iconic as the F40, it may not have existed at all if it wasn’t for this car – the Dino. Famously named after Enzo’s son Alfredo, the Dino was originally launched in 1968 and initially launched as a marque in its own right, not wearing the famous prancing horse badge. It didn’t stop at the badge, the Dino was genuinely a road car full of firsts for Ferrari – mid-engine not front-engined, driven by a six cylinders, not 12 – and manufactured in larger, less-exclusive numbers to a (marginally) less wealthy clientele. As a result, for years the Dino wasn’t considered ‘a proper Ferrari’ sports car. Enzo Ferrari himself apparently thought Ferrari’s should be front-engined, rear-wheel drive, with 12 cylinders and that mid-engined cars were only suitable for professional racing drivers. 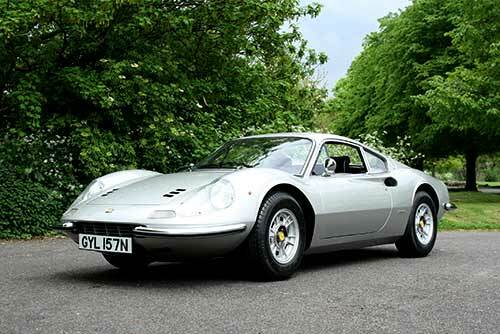 The Dino genuinely changed the way Ferrari approached making road cars. While the days of an ‘affordable’ Dino are long gone, the Dino’s effect on the Italian marque can still be felt today in the mid-engined 458. The 250 GTO, the crowning achievement of the 250 series of Ferraris and fifty years on, is still considered one of the greatest cars the marque has ever made. 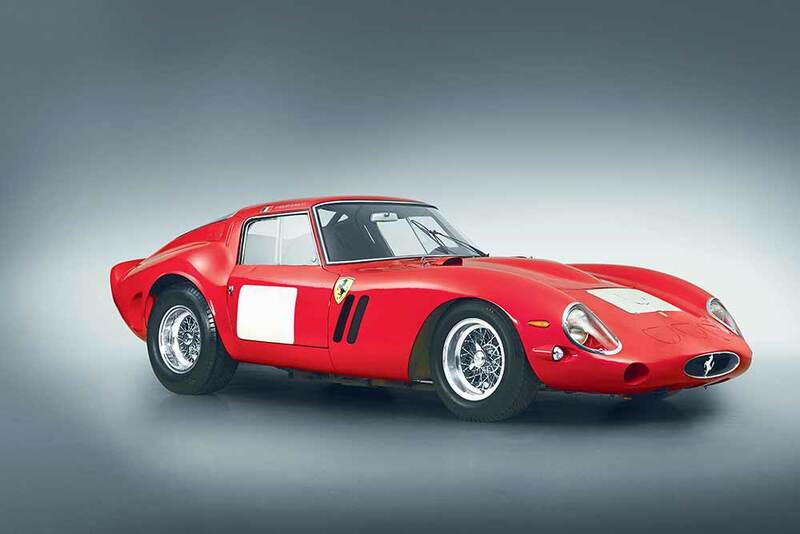 Only 39 were made between 1962 and 1964 and when a GTO comes up for auction it commands a price in the tens of millions. But let us forget the price, and examine what makes the GTO so special for sports car enthusiasts. Designed to compete in sports car racing. The rules at that time dictated the class was for ‘road’ cars and to enter a manufacturer had to sell 100 cars. The ‘O’ in GTO stands for Omlogato or homologated and theoretically the GTO is an evolution of the 250 SWB, which allowed Ferrari to make only 39 examples to satisfy the rules. To accept this you have to interpret ‘evolution’ in a fairly broad way. The 250 GTO’s body was completely different to the 250SWB, crafted in the wind tunnel by genius engineer Bizzarrini. Under the surface the chassis was modified to make the car much stiffer. The 3.0 V12 was mounted lower and further back and mated to an all-new 5-speed gearbox. Inside there was very little trim, every window, except the windscreen, was plastic, the GTO didn’t even have a speedometer. The car went on to win three consecutive sports car world championships between 1962 and 1964, a golden age in the sport that very soon moved away from front-engined GT cars. The GTO with its rarity, motorsport dominance and cheeky rule interpretation, so perfectly mixes with the myth and legend of Ferrari. It symbolises in sports car form what makes the Prancing Horse so special for enthusiasts. Do you agree with our top 5 Ferraris? Which top 5 Ferraris would you pick? Please let us know.